1st Anniversary Celebration Sale and New Club! Do you want to Save All Year Long? Do you want to be part of a fun Group? For only $25.00 you have the chance to save lots of money all year long with specials that will only be available to Sewrority Sisters (and Brothers too!). Membership enrollment will only be open during the month of February and then the savings begin in March and happen all year long! 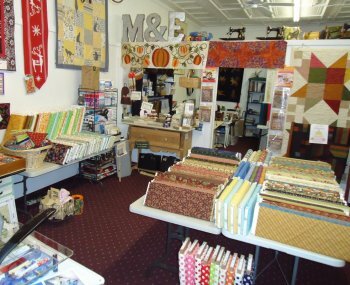 We are sew thankful for the blessings we have received from our loyal customers that we want to say thanks to you all year long. You will even receive a gift from M&E for your birthday! Not only will you be in on special savings, but you will receive a beautiful dated Sewrority Pin to show that you are a member. You will be "pinned" when you come in for your first savings special. 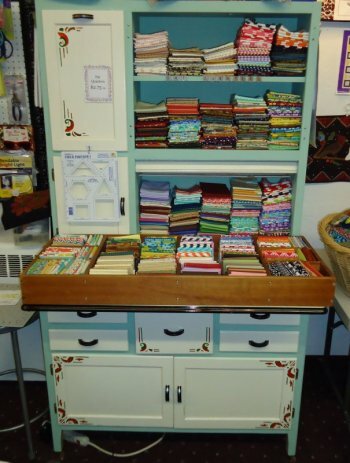 Mabel thought we should cancel the get together this friday night because we have everything set up for the sale, but Ethel talked her into still having it. Space will be limited so if you plan on attending, please make sure you let us know to make sure there is enough room. Mabel still isn't sure how we will do it, but where there's a will there's a way. Cute new Featherweight Pins are now available to show your love for your machine too! 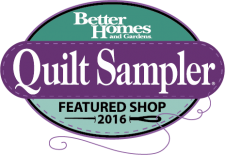 The 20% Off Backing Special that we offered during our first year when you brought in your completed quilt top ended on January 30th. 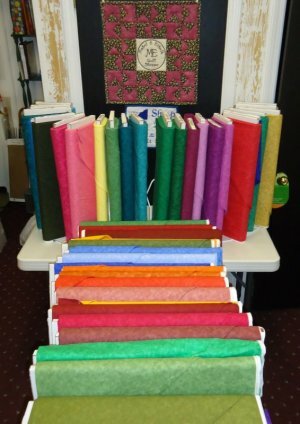 Thank you for sharing all your wonderful creations with us, everyone enjoys the show & tell postings on Facebook. We hope you continue to bring in your wonderful quilt tops to share, but the only backside savings will be if you are a Sewrority Member. Another great reason to join the Sewrority! If coming out to celebrate with us drive safe in this snowy weather. The Celebration & Sale lasts all week long.